Fashionable personal and travel accessories in 100% genuine leather. Design, quality, service all at a fair price. Wallets, clutches, ladies handbags, sling bags for teens & twenty-somethings, planners / organisers, refills & more. Collection of clutches, wallets & purses­ - 8 styles in 12 colors breaks the myth on black & brown wallets. Designed on the theme “ Life beyond black & brown ­-Be Yourself “ the series encourages you to express yourself in any of the 12 beautiful colors­ Be your original self. World renowned genuine leather planners / organisers in 3 sizes, 4 styles & 5 colors complete with India's first page a ­day undated refills. 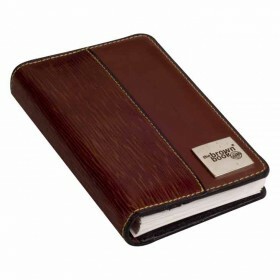 Designed & built to last a life time – the brown book is made from 100% genuine veg tanned leather. 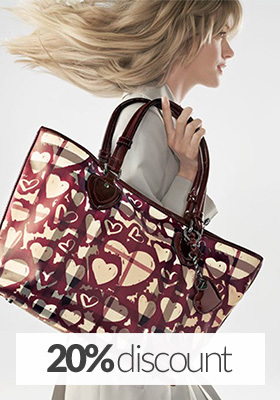 Maya Collection genuine leather handbags, when a handbag is more than a carry bag. Fashionable, functional & world class. 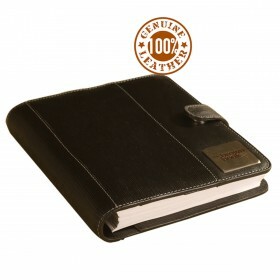 World class genuine leather 6-ring binder organiser / planner. the brown book made out of veg. tanned leather comes in 4 formats and 5 colors. 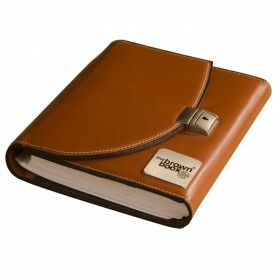 Complete with a years supply of undated refills the brown book is a world class leather diary. Planner / Organiser diary refills. Desktop format, undated, page-a-day design for ,,the brown book” MA-Series. Premium writing paper with pleasant 2 color printing. One years supply of sheets provided. Day plan, Week plan & Month plan sheets. Page-a-Day format offers more space to plan your day. Sheet size 8.5 x 7 inch / 21.5 x 17.5 cm. Rearrange the pages to suit your needs. Undated pages for maximum flexibility & economy. Refills available round the year. 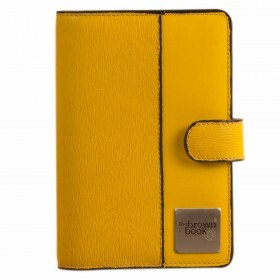 Designer planner / organiser in 100% genuine leather - ,,the brown book” MU Series. India's #1 100% Pure / Genuine veg. tanned leather planner / organiser. Smooth grained veg. tanned luxurious genuine leather. Unique double flap design with metal lock closure. Edges are hand painted for a elegant & sporty looks. Triple seams on the outer, perfected every time by our skilled craftsmen. Inside neatly arranged portfolio on the left inside. Available in rich British Tan (soon to come - Charcoal Black). A compact planner from the brown book family. Perfect for the person on the move. 100% Veg. Tanned leather inside & outside. Full featured page-a-day undated refills. Day, week, month plan plus Projects, CRM, Notes pages. A years supply of refills included. Planner size 7.75 x 5.25 inch / 20 x 13.5 cm. Refill size 7 x 4.5 inch / 18 x 11 cm. Available in Black, Brown, Red, Green & Yellow colors. 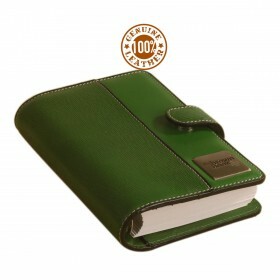 the brown book - Genuine Leather compact ring binder organizer, removable pages, MI Series - Green. 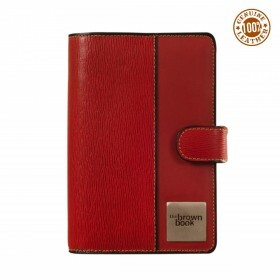 Compact planner diaries ,,the brown book” MI Series – beautiful red genuine leather. 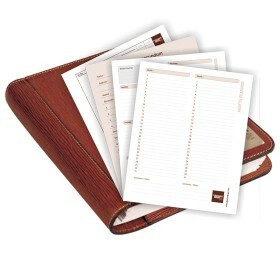 Zip around leather desktop size planner / organizer- ,,the brown book” MA-v2 Series, Brown. Genuine veg. tanned leather both inside & outside. Zip around design to secure all your stuff. Sporty & elegant raw painted edges. Thick contrast seaming makes it a classic. Desktop format for a lot of writing space. Day, week, month plan sheets, Projects, CRM & Notes section. Jacket Size : 9.5 x 8 inch / 24 x 20 cm. Refill Size : 8.5 x 7 inch / 21.5 x 17.5 cm. One years supply of refills included in price. Refills available separately any time of the year. Available in Black & Brown colors. 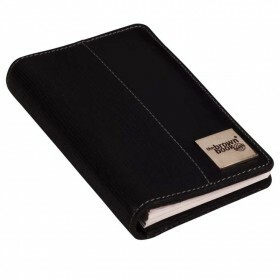 ,,the brown book” - Genuine Leather Planner / Organiser MA-v1 Black-Desktop Size. India's #1 100% genuine veg. tanned leather planner / organiser. 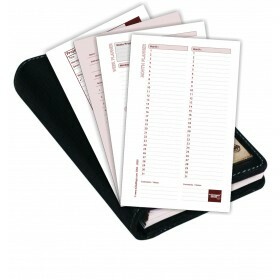 .Desktop size with convenient magnetic tab closure. Large format for ample writing space. Sheet Size : 8.5 x 7 inch / 21.5 x 17.5 cm. Day, Week, Month plan sheets & Project, CRM, Notes sections. Same format zip around design MA-v2 also available. Available in Brown & Black colors. Refills available separately round the year. Page-A-Day undated refills for ,,the brown book'' MX - Series Planner/diary. Premium paper & pleasant 2 color printing. Undated refill sheets for economy & flexibility. 1 years need of day, week & month plan sheets included. CRM, Projects & notes section. Sheet Size 6.25 x 3.75 inch / 16 x 9.5 cm. Ultra compact leather planner / organiser MX Series fits in your handbag. Black color. Jacket Size 6.5 x 4.5 inch / 16.5 x 11.5 cm. Rearrange the sheets to your needs with the 6 ring binder. Undated refills for flexiblity & economy. Page a day design for max space for every day. Day, Week, Month plan + Projects, Notes & CRM sections. Superior quality writing paper in 2 color printing. Refills available round the year Just Rs 145 + Shipping. 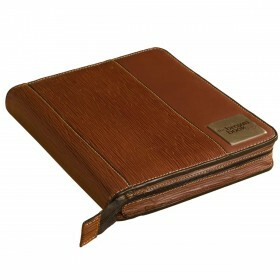 Neat & compact pure leather planner diary ,,the brown book” MX Series Brown. Ultra compact design for easy mobility. Fits neat into a ladies handbag. Small size 6 ring binder mechanism. Rearrange the sheets to your needs. Just keep the sheet you need so the planner is light. One years supply of refills included. Refills available round the year. Only Rs 145/= + Shipping. © 2006-2015 eZeeBags Store. All Rights Reserved.